STOP THROWING AWAY OLD JEANS! I am always after ways to recycle, repurpose and reuse items around my home. I had a pair of old jeans that did not fit anymore and decided to transform the leg portions into useful denim bags. Instead of a plain denim bag, I wanted to add some color. After looking through my fabric stash, I found some cute fabric to use as a lining. Then, it was time to make the bags. These bags are quick, easy and very useful. They are great as a storage container in bedrooms, craft room, bathroom and throughout the house. Or use them as a unique gift bag. They cost absolutely nothing to make if you use old jeans and fabric from your scrap fabric stash. Do you want other craft ideas for recycling denim jeans? 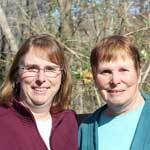 Our Denim Jeans & Skirts Recycling page has interesting project including aprons, jean skirts, potholders, tote bags, and lots of other practical items. 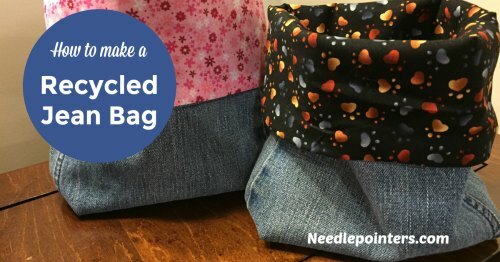 Watch this video and read on for a photo tutorial with step-by-step instructions on how to make a jeans storage bag using our jeans bag pattern. 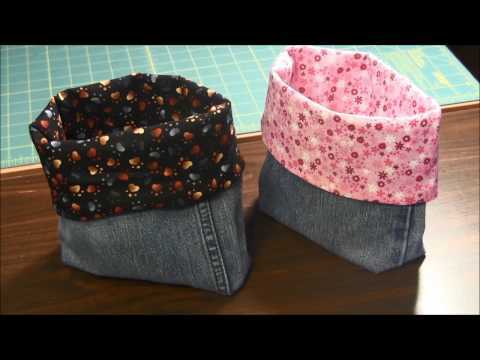 Click to watch the DIY Lined Denim Jeans Bag video in Youtube. With a sharp scissor or rotary cutter, from the straightest part of the jeans leg, cut a piece approximately 11 to 12 inches long. 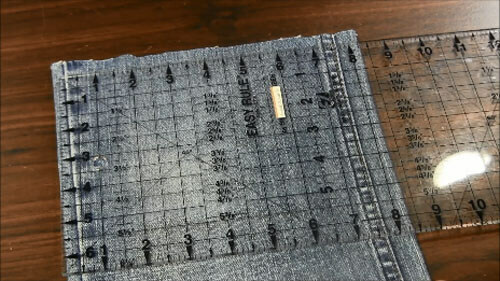 To determine the size for the lining, with a ruler measure the width of the denim piece. You use this measurement times it by 2 and add 1 inch for the seam allowance. The length of the lining will be the exact length of the denim piece. 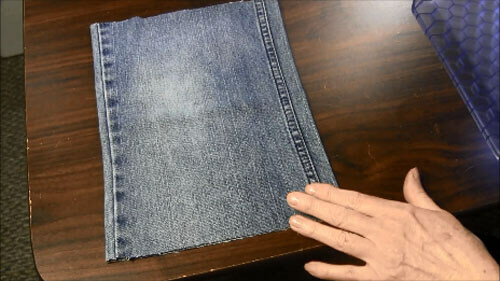 As an example, if the denim piece measures 8 ½ inches x 11 ½ inches, the lining fabric should be cut 18 inches (8 ½ + 8 ½ +1) by 11 ½ inches. First you will sew the lining piece for the bag. 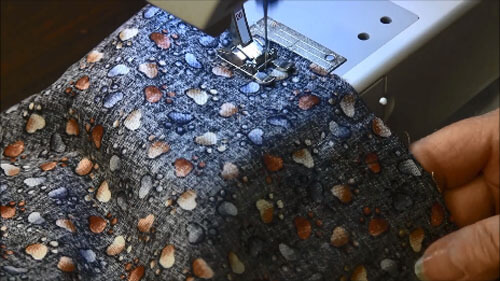 With right sides of lining fabric together, sew the side seam using ½ inch seam allowance. Then, you will sew the bottom using ½ inch seam allowance but leave about a 4” opening in the middle of the bottom seam. This opening will be used for turning the bag right-side out later. So the bag will be able to stand up, a boxed bottom must be created. To make the boxed bottom, align the bottom seam and the side seam forming a triangle. Pin in place. With a ruler measure 1" from the point of the triangle and mark a line with a pencil, pen or fabric marker. With a scissor, cut off the excess fabric. Do the same boxed bottom on the other side of the lining fabric by repeating the above process. It is time to sew the denim piece into a bag shape. With the denim piece turned inside out, sew the bottom completely closed using a 1/2 inch seam allowance. The denim piece also needs a boxed bottom on both sides. You can do this by using the same technique used in the lining instructions. It's time to sew the denim and lining pieces together. You need to turn the denim piece right side out and the lining piece inside out. With right sides together, insert the denim piece inside the lining piece matching the denim boxed bottom and side seams with the lining boxed bottom and side seams. You need to align the top edges of both pieces and pin them in place. You will now sew around the top edge using a 1/2 inch seam allowance. 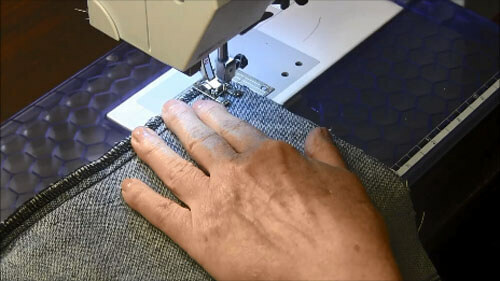 It is time to turn the fabrics right side out by placing your hand inside the lining opening and pull the denim part of the bag out through the opening. The opening in the lining fabric needs to be stitched closed with a sewing machine or by hand stitching using the blind hem stitch. 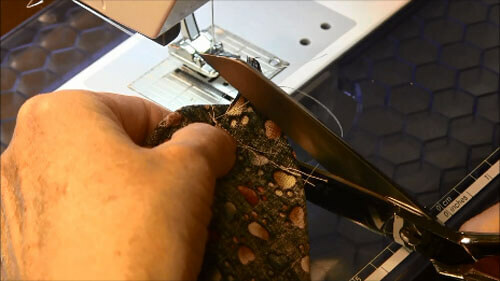 After stitching the opening closed, you will push the lining into the bag and press the top edge of the bag flat. At this point, you can edgestitch close to the top edge to hold the layers together (this is optional). Now, fold top of bag over showing part of the lining. Ta Da! 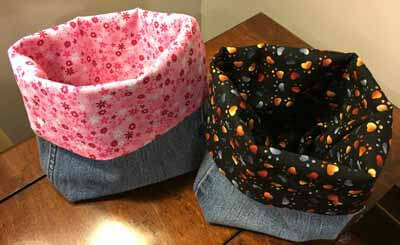 The fabric denim storage bag is finished and ready to use. 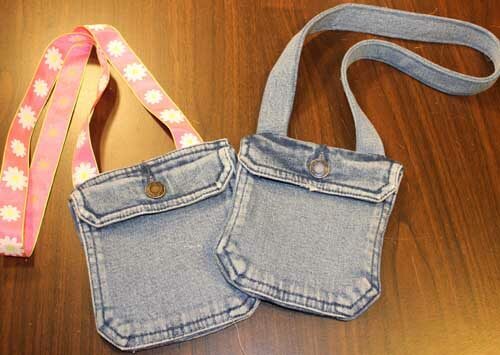 Jeans Pocket Handbag - Kids will love making this simple handbag with a pocket from an old pair of their jeans. 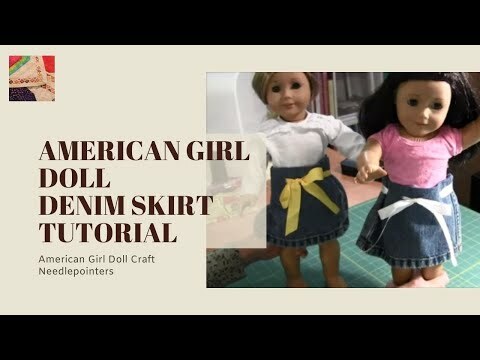 Denim Doll Skirt - Use a denim pants leg to make a cute no-sew skirt for an American Girl Doll. If you need more ideas and inspiration on repurposing denim jeans, we recommend the following books.